As we’re rapidly approaching Apple Day (21st October), we hear about some of the exciting activities in Middlesbrough which show how growing and harvesting from fruit trees can bring people together and provide local food for local people. 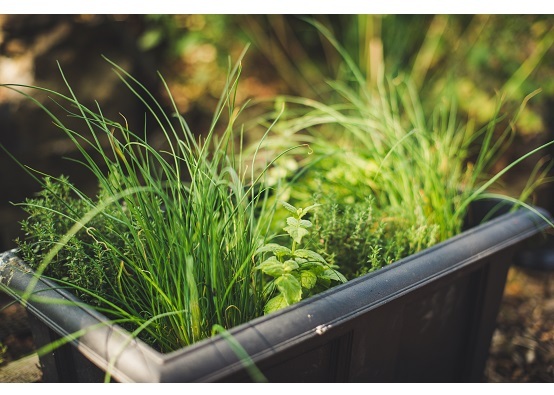 As part of the Roots and Branches project, Incredible Edible is working in partnership with Middlesbrough Environment City (MEC). MEC have a great Community Patchwork Orchard which links up patches of fruit trees, maps sources of food and encourages the sharing and eating of fruit by the town’s communities. Middlesbrough used to be known for its fruit growing and you can still see some of the remnants of the rows of apple trees in the gardens of houses in Linthorpe and Acklam. MEC wanted to make sure that what fruit trees we have now are protected for the future. They used an existing orchard at Sandy Flatts Lane as the base for the Community Patchwork Orchard. Planted as part of the Nature’s World development in 1994, the orchard has in excess of 100 different heritage and unusual apple, pears and plums planted in concentric rings. 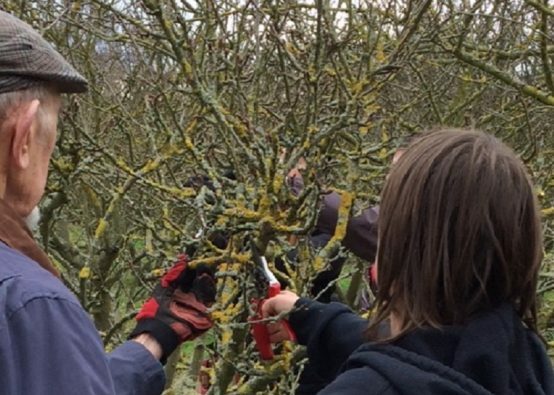 It needed a little work, so the team enlisted the help of volunteers, trained them to prune fruit trees in both winter and summer, and set aside work days to tackle the job. These skills were also really useful to people when looking after their own trees too. MEC wanted to get as many people as possible involved in the Community Patchwork Orchard project, benefitting from the fruit and also raising awareness of what is on the doorstep to eat. Fruit was distributed to schools and community hubs as it became available but it was apple pressings that drew the most attention! 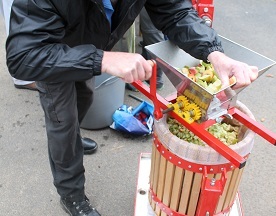 Using both a 36l and 20l press, MEC visited Farmers’ Markets and community events, pressing donated apples and returning juice to taste on the day. 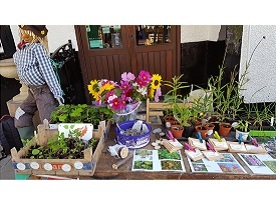 The key event was a Community Apple Day, held in September, in partnership with the Friends of Nature’s World. MEC realised that people were interested in generating a small income from surplus fruit, and recognised that sourcing food locally is really important to tackling climate change and to helping improve the local economy. They talked to lots of people about how they were running an enterprise, whether to make a profit or for community benefit, and working with those who were interested to help them achieve their goals. Old Sleningford Farm is a smallholding near Ripon and has an abundant and thriving forest garden. 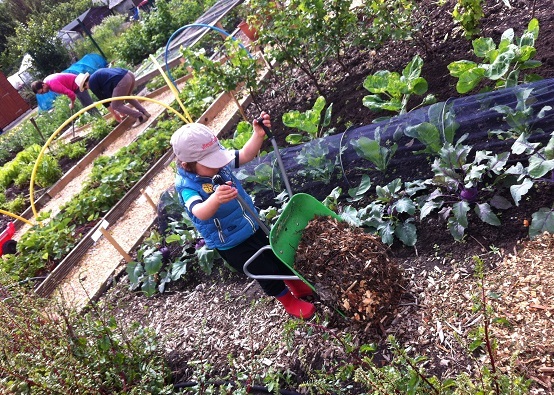 Started in 2004, the forest garden is a woodland full of edible plants. Fruit trees are under planted with fruit bushes which in turn are under planted with herbs and other perennial leafy crops. The forest garden is so productive that in 2011, Old Sleningford Preserves was launched to utilise the excess produce that couldn’t be eaten fresh. 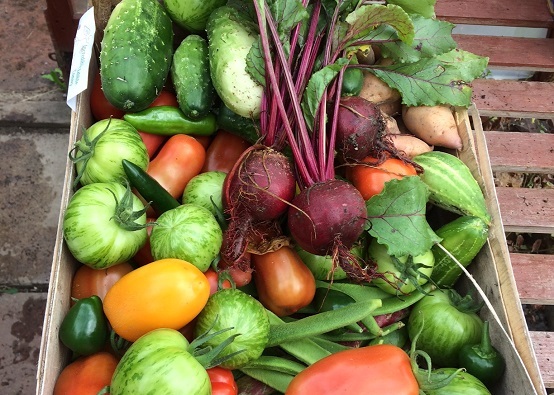 Jams, jellies, chutneys, relishes and drinks are all made at the farm and delivered to members of a CSA (Community Supported Agriculture) type project within 7 miles. Apple juice and cider are also made at the farm, utilising lots of apples that would normally go to waste (around 17 tons in 2017). Local people are invited to bring their apples and use the equipment to make their own juice and are given advice on making cider and cider vinegar. The farm team also attend a number of apple days, getting the public involved with the apple pressing process. Old Sleningford Preserves works with a number of projects and stately homes that have large orchards with outlets for selling their own juice and cider to their visitors such as a shop or café. Old Slippage Cider can be found at a number of local beer festivals throughout the year. We think this is a great example of how much positivity can come from spinning the three plates – community, learning and business. If you’d like to start an Incredible Edible group in your area, sign up to the website to access our Getting going resources or search for a group near you. 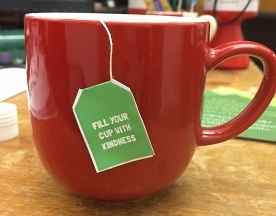 How an apple a day brings kindness in a communityApple Day 2018 – what are you doing to celebrate?